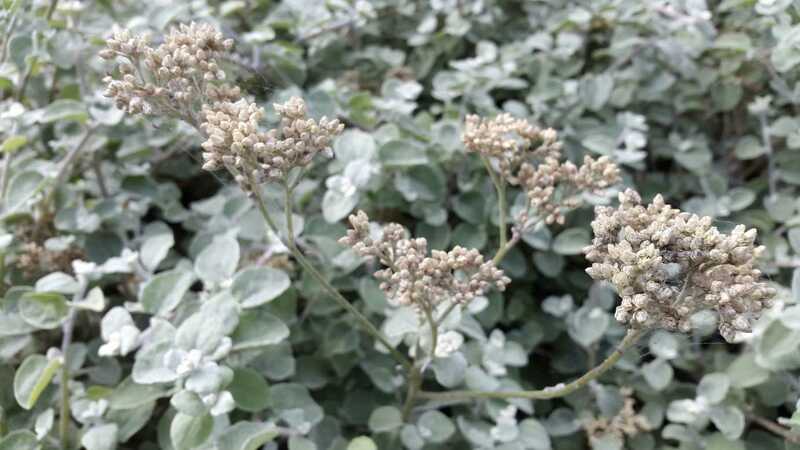 A shrubby perennial plant that sends out long stems to form a mound about 0.6m H x 1.5m W. The stems are covered in small, heart-shaped, silvery-grey, felty leaves that are the main feature of the plant. The rounded heads of cream flowers are not particularly significant. 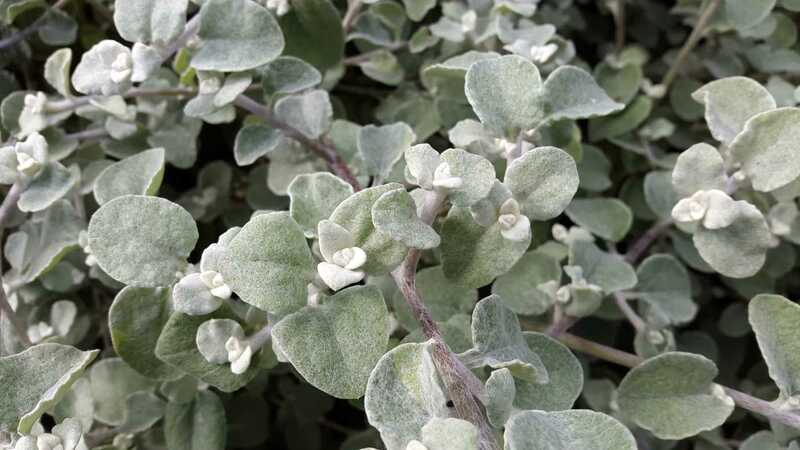 Grows in both sun and shade, requires a well drained soil and tolerates dry conditions. It may rot in very moist soils. 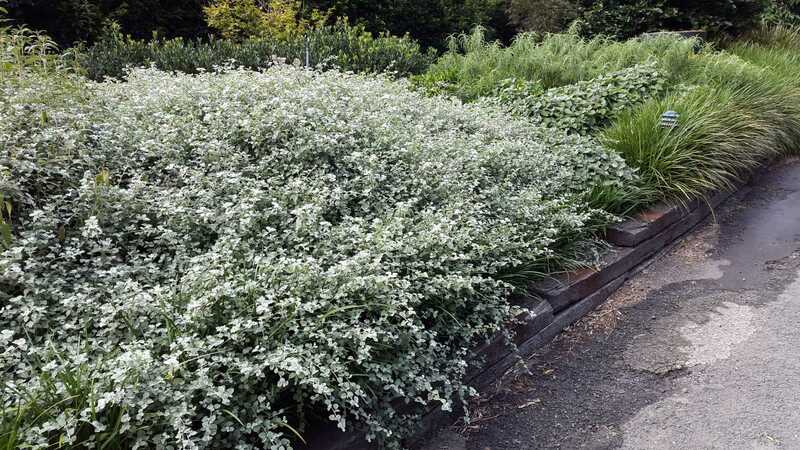 It can form quite a good groundcover, spill over a wall, intermingle with other plants or be pruned into a dense rounded thicket. It requires regular trimming to maintain a compact shape. A lovely cultivar called ‘Limelight’ has pale lime-green foliage.